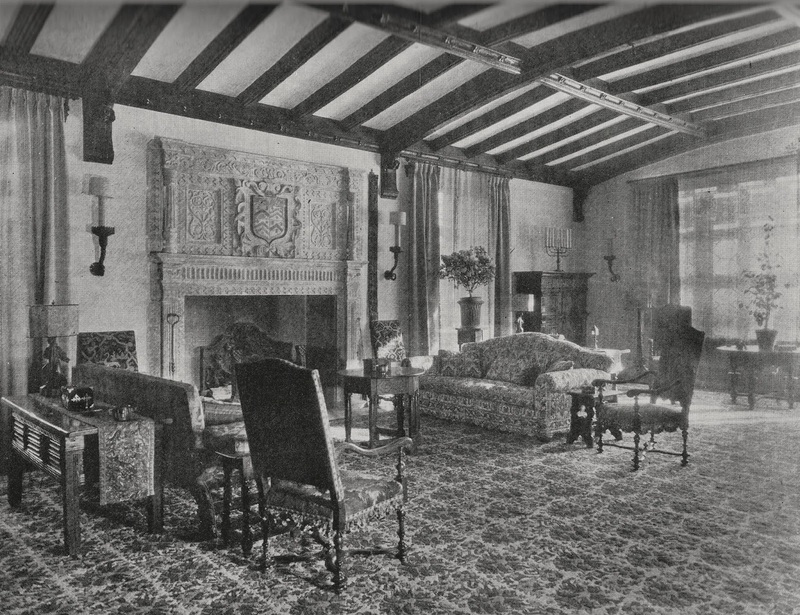 'The Chimneys', the Bettie Fleischmann Holmes estate designed by Edgar Irving Williams c. 1929 in Sands Point. Click HERE for more and HERE to see the residence on bing. Photos from the Parke-Bernet Galleries Catalog, 1942. Great photographs. The subsequent additions are not the best fate for one of these large houses; but at least we're not left looking for remnants of the garden. Horrendous and perhaps the worst placement of a building addition ever. Can one possibly be a good steward of an old mansion and also obliterate one of the main building facades and think it's a good design? Fire the architect (if they bothered to use one) and the school board. Insensitive additions are not hard to come by. 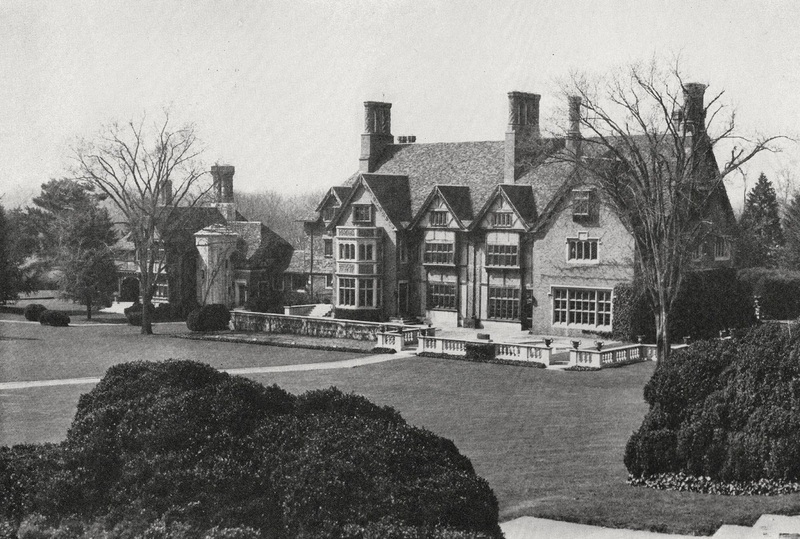 One of the best (by which I mean the worst) is the horrific addition across the front of the J. Ogden Armour estate in Lake Forest for the Lake Forest Academy. Egomaniac architect is the only explanation.